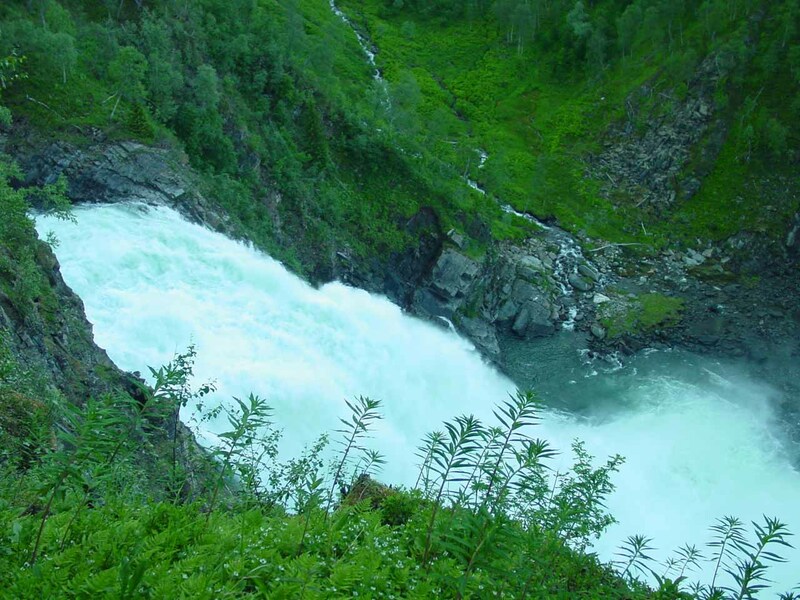 Bredekfossen was a rather obscure, out-of-the-way 61m waterfall that I saw tumble over a series of powerful drops on the watercourse called Stormdalsåga. There really wasn’t a whole lot of literature in our pre-trip research prior to my visit. However, there was just enough to entice me to make the attempt to see what this falls was all about. 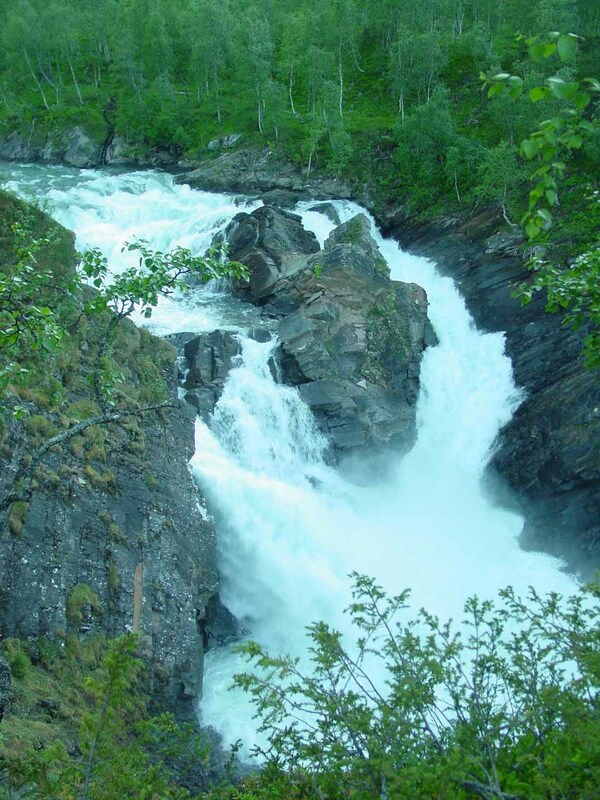 I’ve also seen this waterfalls referred to as Stormdalsfossen since it sat in Stormdal Valley (Stormdalen). 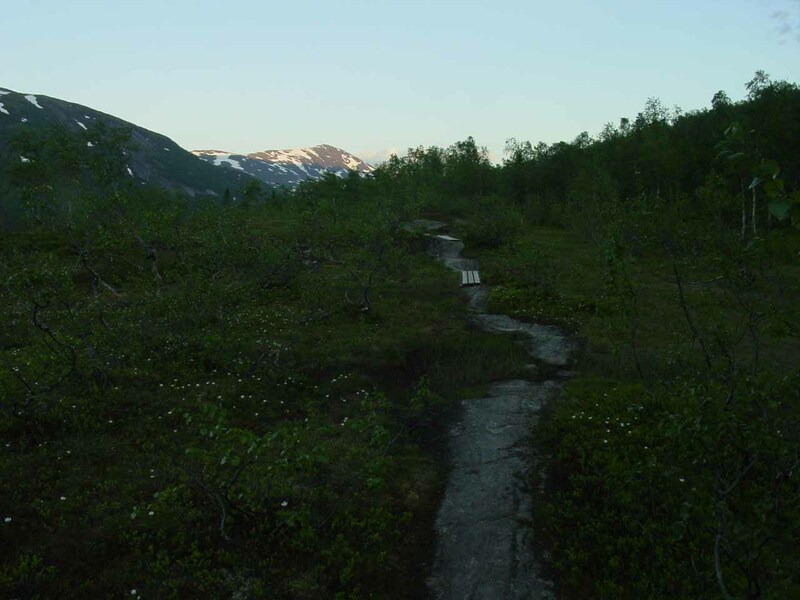 Perhaps what was memorably strange about my visit to the falls was that there was a farm (called Bredek Farm) that seemed to be yet another Norwegian cabin in places so remote that it made me wonder how people could live and farm in such apparent isolation. So based on the few bread crumbs that I had from the pre-trip research, I had to do a little searching to even get started on the hike. By the way, as circumstances would allow, I didn’t have the chance to begin this hike until 9:20pm, which didn’t allow me to take as much time as I would have liked. 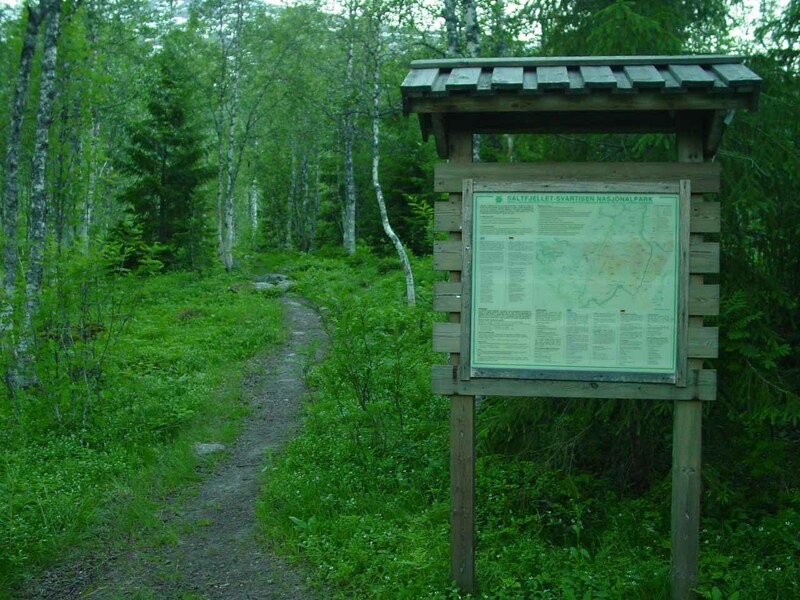 At first, we had found a candidate starting point along the E6. 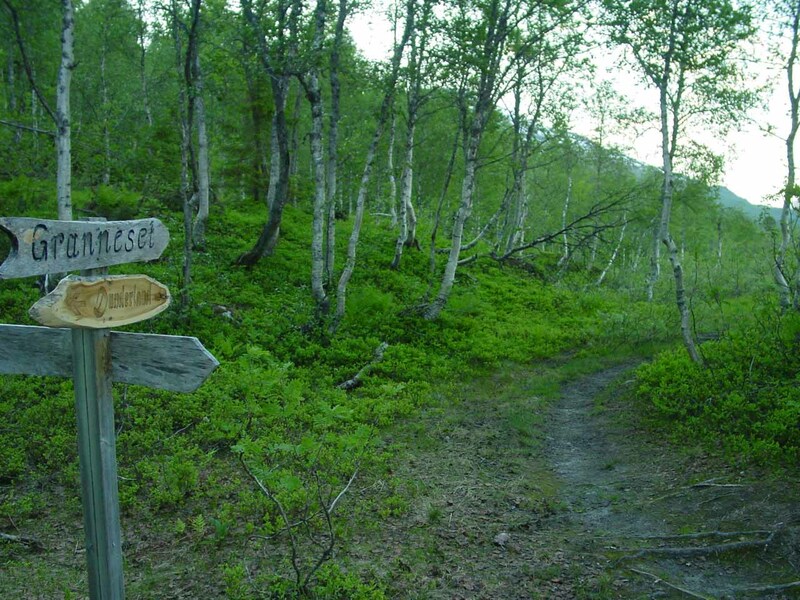 However, seeing how it wasn’t that close to the GPS pre-trip waypoint for Bredekfossen, we continued towards the hamlet of Bjøllånes where we thought we had found another car park and trailhead. This one turned out to be just as distant as the first (and we still weren’t sure we were in the right place). Eventually after some indecision, I ultimately decided to start hiking from the E6 (see directions) even though in hindsight, it didn’t really matter where I started. Perhaps I could have had Julie drop me off in one trailhead and pick me up at the other so I could have done this as sort of a shuttle hike to cut down the 8km loop it would have been without the shuttle. Anyhow, I ultimately decided to do a much shorter out-and-back loop, but as you’ll see, my haste might have costed me a proper waterfalling experience here. 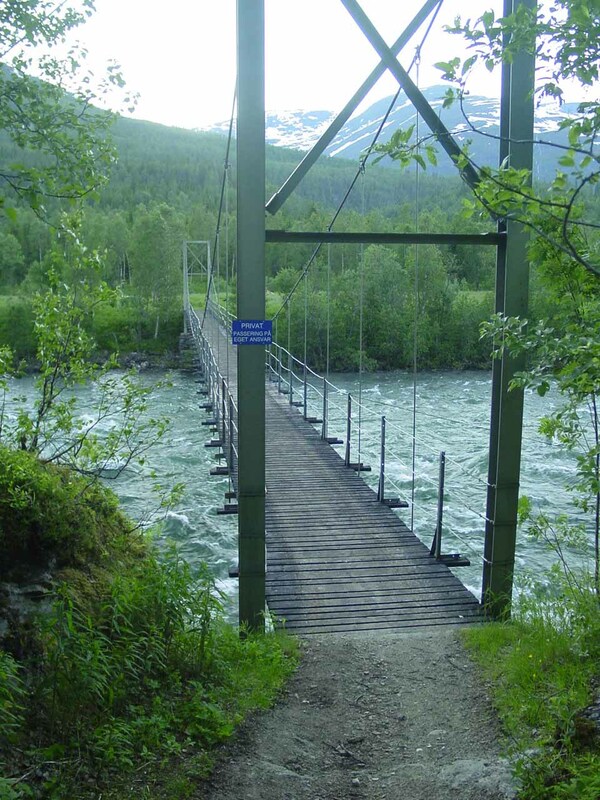 From the E6 start, I immediately passed over a long swinging bridge over the wide Ranaelva River. Afterwards, I followed the trail obeying the signs to keep me on the proper path as there were plenty of other signs telling me that I was heading through private property. 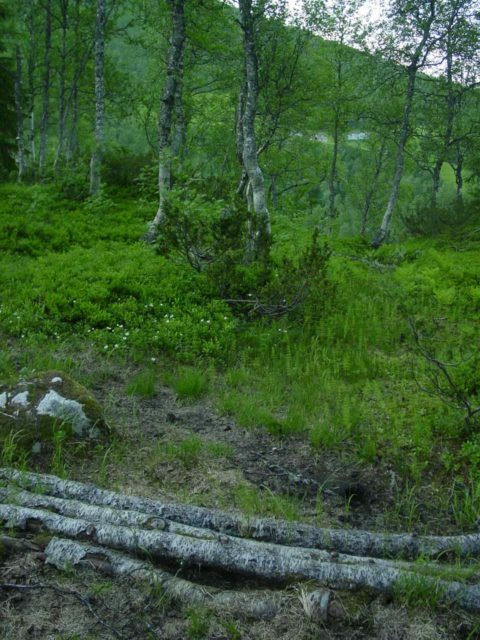 The terrain at this point was mostly a combination of farm pastures and the edge of a forest. 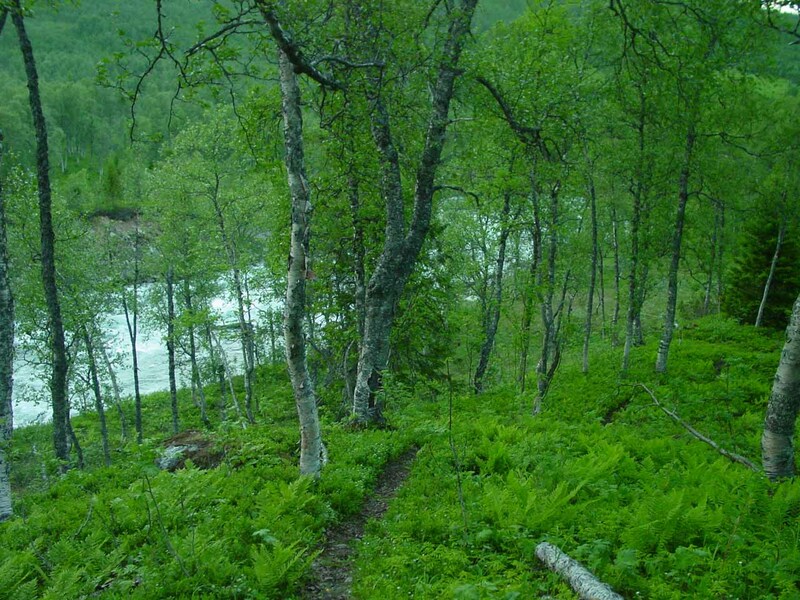 Then, the trail started to make a fairly long but gradual 2km climb, which had a few moments of steepness, before I reached a succession of junctions (I recalled there were three of them – 10 minutes and 5 minutes apart). 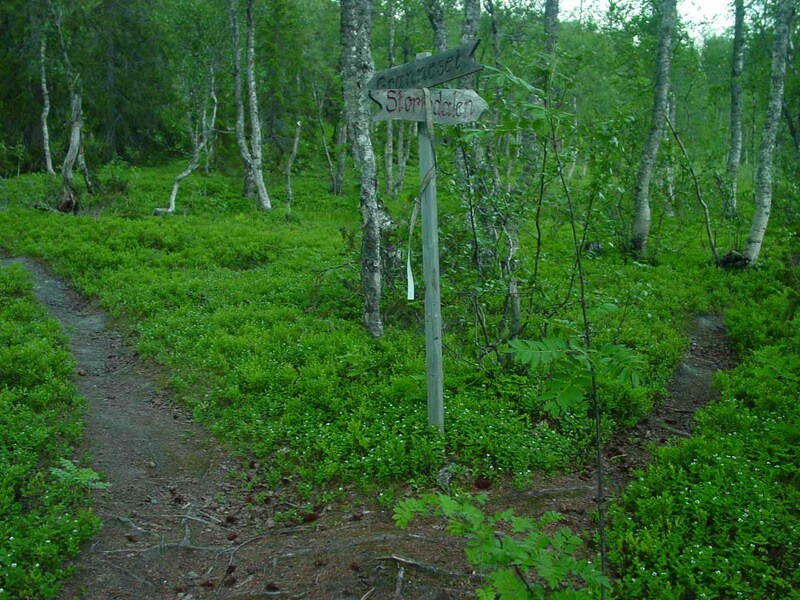 At a couple of these junctions, I recalled the left fork was signposted for “Stormdalen” while the right fork headed to a mountain cabin or hytta at Granneset. 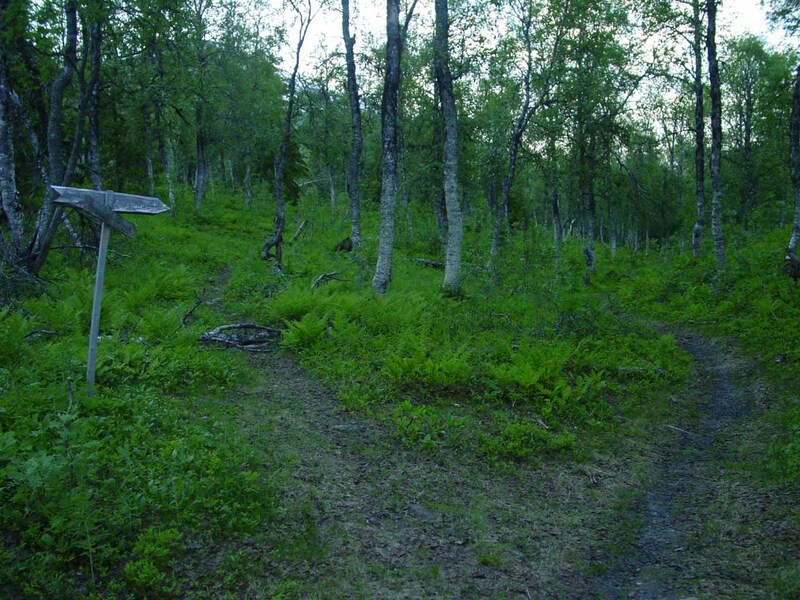 I think either way, the trails re-converged so it might not have mattered which fork I took. I ended up taking the right fork through Granneset, and eventually, I ended up at a swinging bridge over Stormdalsåga, which was the river responsible for Bredekfossen. However, just before I got to that swinging bridge, I had found a “path” that left the trail and headed right to the edge of a cliff. I had to be real careful not to get too close to the sloping edge. 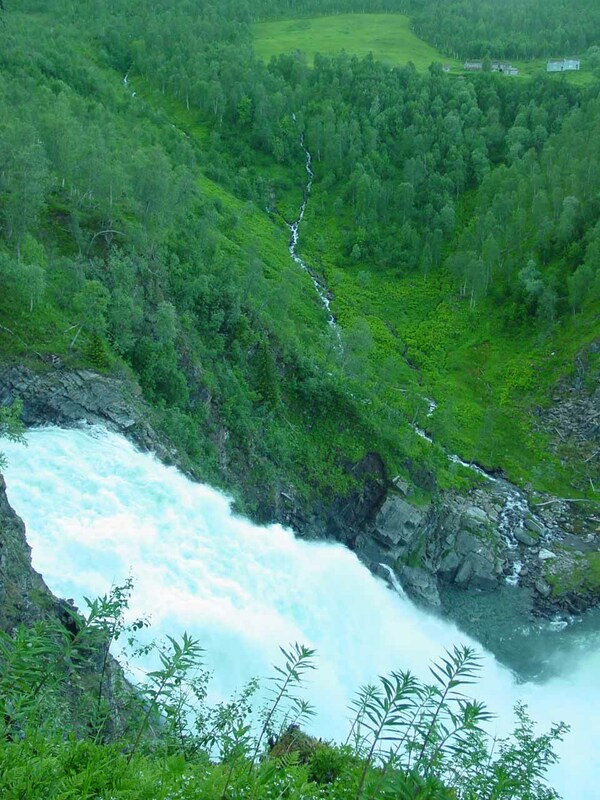 Nonetheless, I got a glimpse of the upper cascades of Bredekfossen from this vantage point, which was in the photo that I showed at the top of this page. Given that it was getting late in the evening with the sun already hiding behind the mountains in the area, I decided to turn back at the swinging bridge and not push it. That said, had I kept going another 1.5km beyond the bridge, I would have ended up at the buildings at Bredek where I might have been able to get a more frontal view of the falls (and thus a higher rating than I ended up giving it). 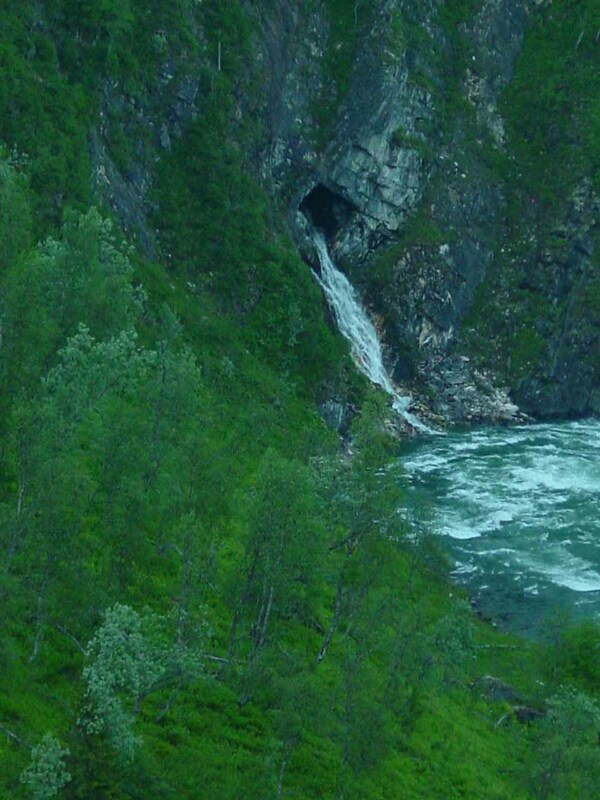 On top of that, there was a marble cave called Marmorgrotten, which was closer to the river downstream of the falls. 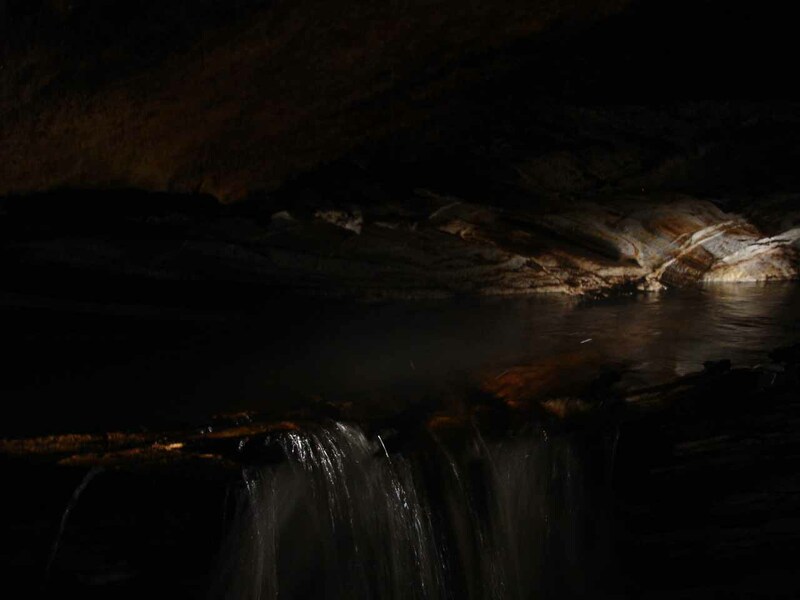 I think I managed to see a waterfall coming out of a cave, and that very well could be it. 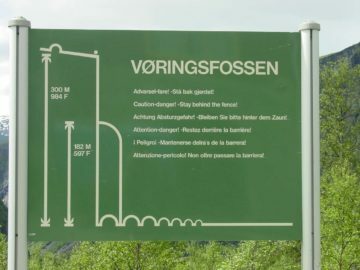 Again with hindsight being 20/20, I probably could have concluded the shuttle hike from Marmorgrotten towards the other trailhead at Bjøllånes, which probably would have been another 1.2km of hiking. As it was, my out-and-back hike was probably more on the order of 4-5km or so, and it ultimately took me about 90 minutes round trip (though I was rushing things a bit). I’m sure 3-4 hours would be plenty of time to do the entire loop hike or even entertain that shuttle option if Julie would be willing to drive to both trailheads while relaxing in the car. 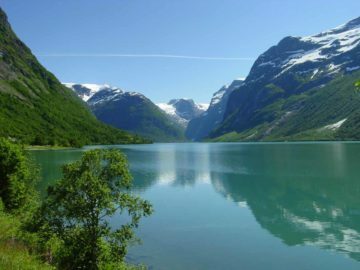 When I was doing some post trip research, I couldn’t believe that Bredekfossen almost ceased to exist when hydroelectric plans were proposed for the area. Eventually, the plans were dropped. 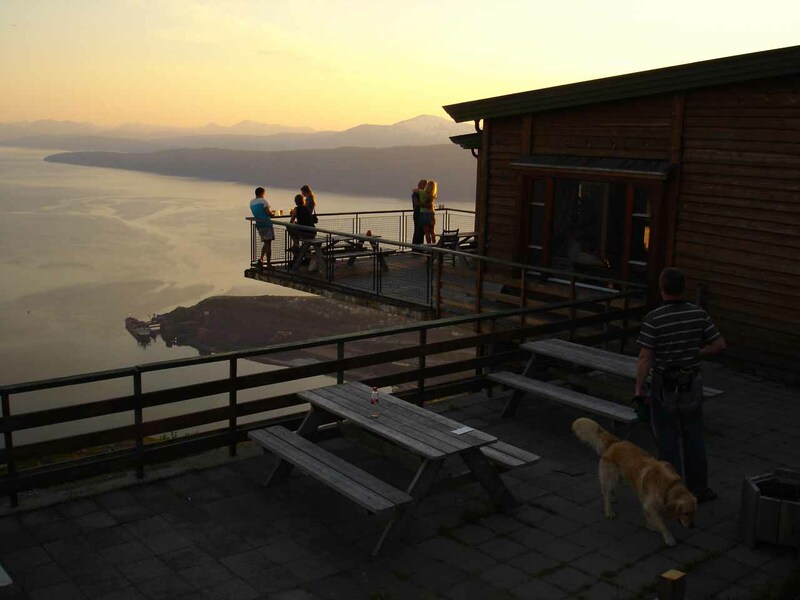 However, I thought I had seen some desserted cabins in the distance near Bredekfossen from my unofficial vantage point. 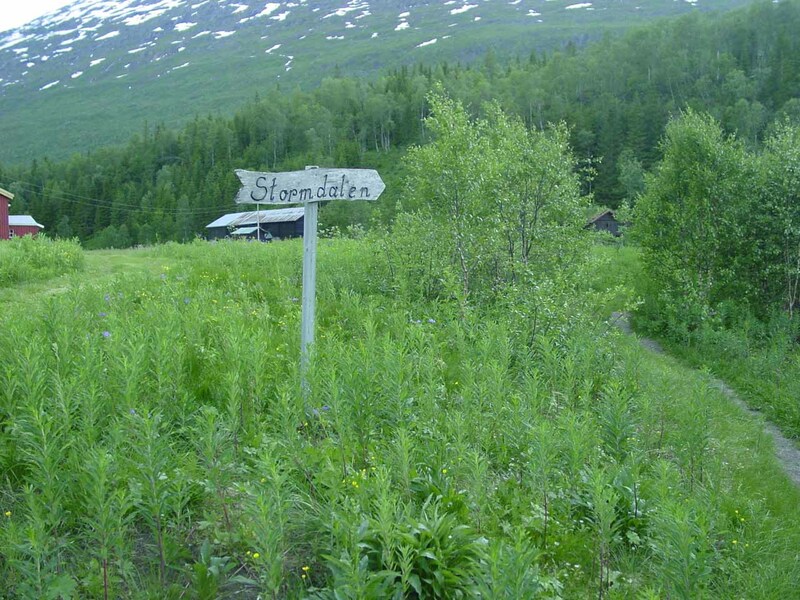 The cabins were abandoned as recently as 1965 because the Stormdalsåga was prone to flooding from dams created by accumulating snow and ice in the steep valley Stormdalen. 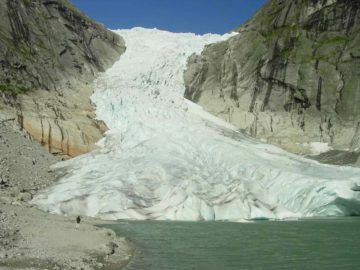 In one incident, the resulting water levels rose to the point that it ultimately got up to the windows of the sitting rooms of Inner Bredek thereby making the place uninhabitable. 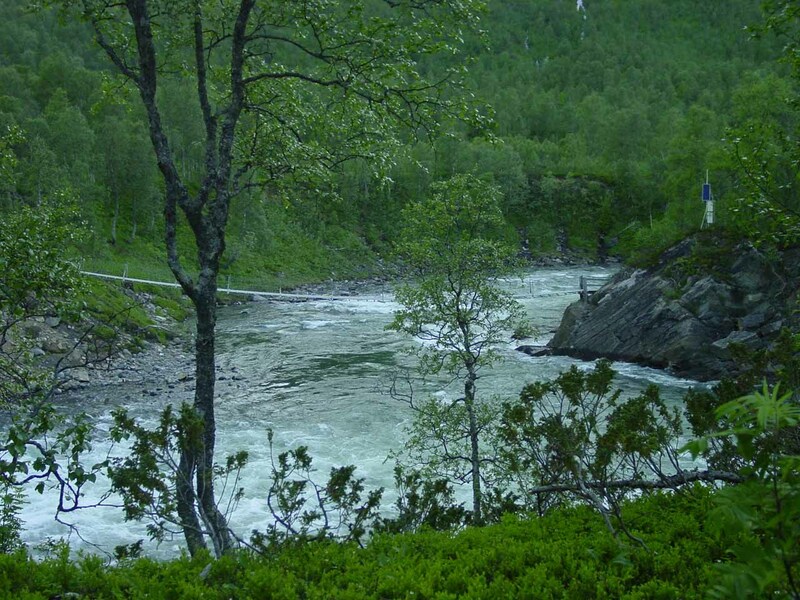 Bredekfossen resides in the Rana Municipality. For information or inquiries about the area as well as current conditions, visit their website or Facebook page. 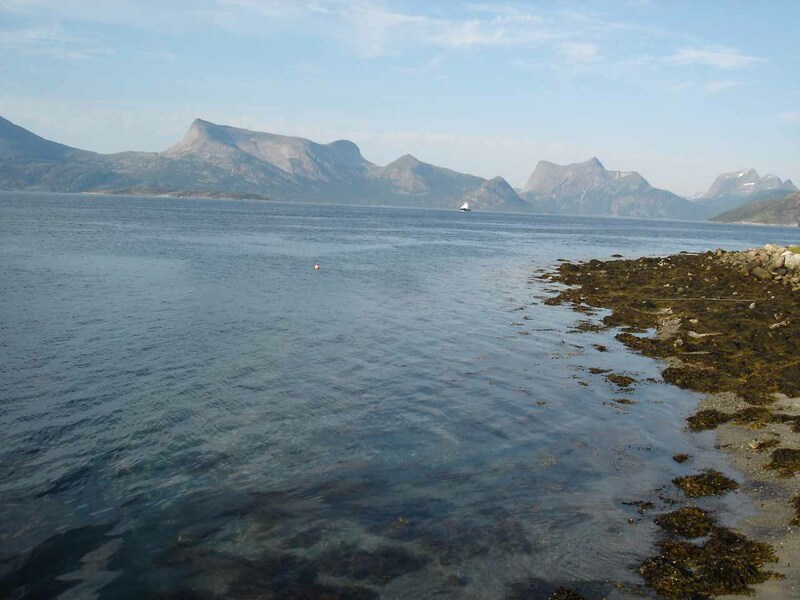 From Mo I Rana, we headed north on E6 for about 52km. The first of two possible car parks for the hike to the falls was on the left. At this trailhead, there was enough space for perhaps four or five cars, but two of them were roped off and labeled “private”. 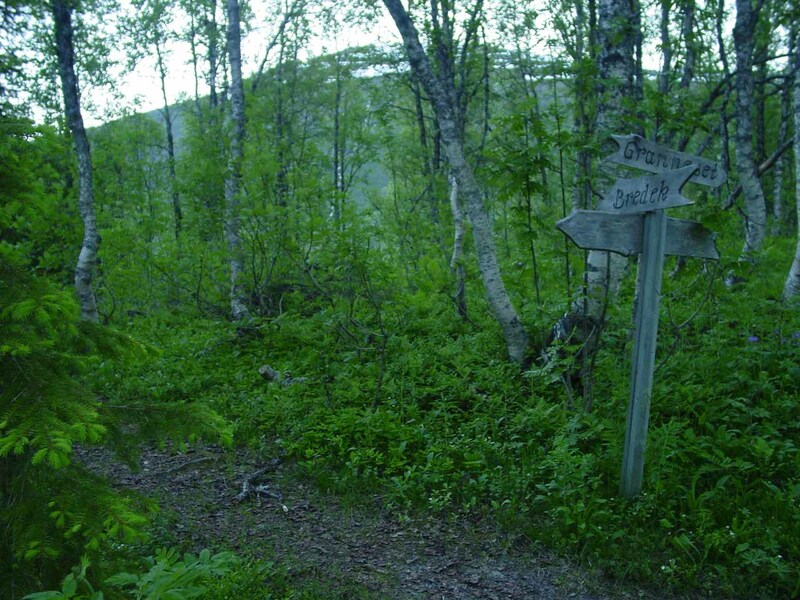 This was the trailhead I ended up started from. 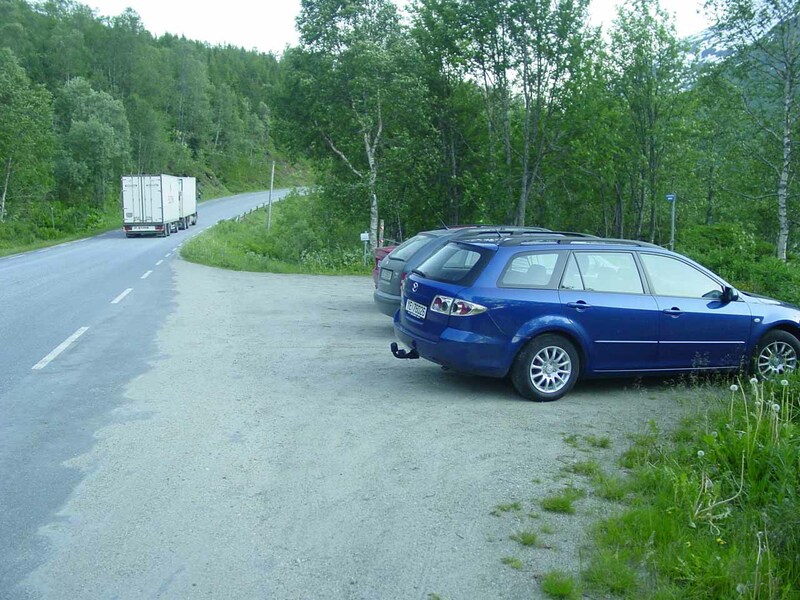 The other car park was reached in another 1km further along the E6 where another turnoff was on the left as it crossed a bridge then reached a 3-way intersection. 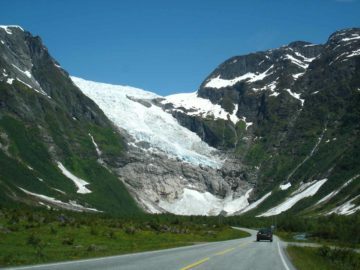 If you reach Hjartåsen on the E6, you’ve missed this turnoff (we know from experience). So going left at that intersection beyond the bridge, we would’ve been at a car park designated for day use parking. 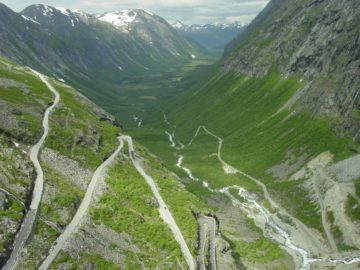 For context, Mo I Rana was 477km (6.5 hours drive) north of Trondheim, 967km (12.5 hours drive) north of Oslo, and 674km (10 hours with ferry crossings) south of Tromsø.